Wire rope balustrades are a speciality of ours. Here at Rope Services Direct we stock and manufacture a wide range of wire-rope assemblies suitable for use on balustrade kits and systems. Wire rope balustrades are a versatile way of creating a barrier to prevent accidents or just to define a specific area whilst at the same time creating a contemporary feel. Choose from a variety of materials (e.g. stainless steel balustrade) to achieve the perfect style for your needs. Our versatile wire rope balustrades make a perfect balustrade / barrier system and are commonly used on stairways, boats, garden decking and balconies. They are also becoming very popular in public areas to safeguard the public. For example castles install them around the castle walls and ramparts to enable the public to walk around them safely. Without these barriers the public simply would not be allowed to go up due to health and safety factors. Our range of galvanised wire-rope and stainless steel wire-rope along with numerous swaged terminal or swageless fittings will provide an aesthetically pleasing architectural type metal balustrade design with excellent durability. We can create wire rope balustrades in a kit. Bespoke to you to suit your specific requirements in any design you choose, e.g. stainless steel balustrade for stairwell. We offer both swaged and swageless terminations. These are to suit the vast majority of applications whether permanent, temporary, and professional and self-assembly. Our swaged fittings undergo a process using specialist dies in our presses. The dies are fitted into one of our presses along with the rope and termination. Then many tonnes of pressure are applied to compress the fittings to form a permanent connection. This type of connection is used for permanent rigging applications and balustrade / barrier systems. Commonly using forked terminals, rigging screws, studs and eye type end terminations. 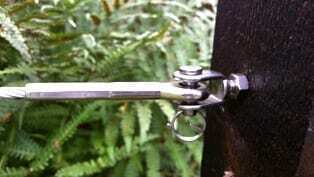 Rigging screws and turnbuckles are excellent for fine adjustment of the tension of the rope. This is so you can have it extremely taught or a little slack, the choice is yours. For barrier and security purposes then the rope should be taught. For aesthetic wire rope balustrades such as decking, then the rope may be slack to give a slightly draped effect. There are hand held swagers and other tools which can enable the fitting of some permanent swaged fittings on site. This could be good if you are not sure of the exact lengths of rope, great for you DIY’ers. Swageless terminals are ideal for semi-permanent applications and do not require professional assembly. These are commonly used in marine and seafaring industries where wire-rope is used in high wear operations. They are also commonly used by the DIY’er as it is fairly simple to change/replace a swageless fitting. All you need is some wire cutters to cut off the old, worn rope, and a couple of wrenches to secure the fitting to the newly cut end of the wire-rope. Our swageless fittings are perfect for self assembly of steel wire balustrades. Some of the fittings commonly used in wire rope balustrade systems are listed below. All supplied in hard wearing stainless steel you will find fittings to enable easy fitment to wood, steel and more. All you will need is a good drill with the correct drill bits for the material you will be drilling, i.e. 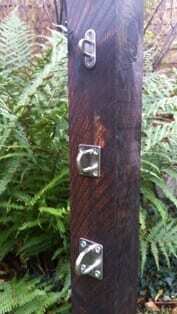 wood, masonry, metal. If you would like some help in calculating what you are likely to need for a DIY job give our team a call on 01384 78004. We are always ready to help if we can. Alternatively if you know exactly what you need you can use the contact us page or the rapid enquiry button to send us an email with your requirements. Rigging screws are frequently utilised in architectural type operations and on wire-ropes where extreme tension is required. Available in a variety of sizes and various configurations of end fittings (Swaged or swageless) to match up with a wide range of wire-rope diameters. Threaded terminals are used to put tension on a rigging/architectural wire-rope, with the help of nuts/washers or part of a rigging screw. 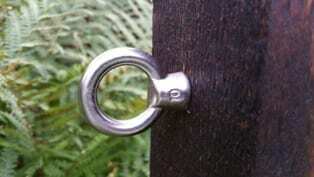 Eyes are mainly used to attach architectural wire-rope to rigging screws or forks. Usually used with rigging screws/internally threaded parts or other terminations, as a means of attaching an architectural wire-rope. 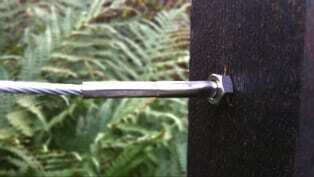 Ideal for creating a fixed anchor point. 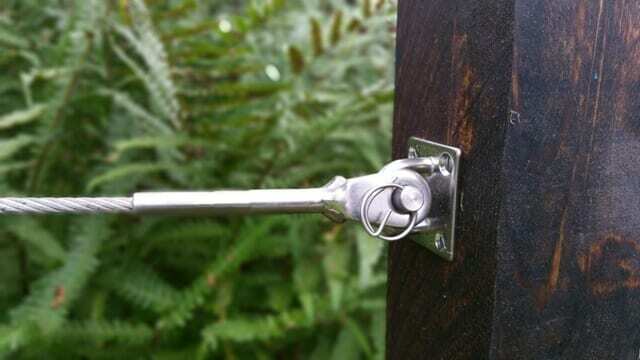 These eyebolts are ideal on decking areas and around the garden as they screw directly into the wood; they are easy to install and create an anchorage point for your architectural wire-rope, natural fibre rope and much more. These terminals are ideal for lighter Architectural fixing of wire-rope; they create a neat looking and permanent end stop when threading wire-rope through a fixture (see pictured example). These plates create a perfect fixing point for many types of architectural wire-rope terminals to an array of surfaces and in stainless steel wire balustrades . 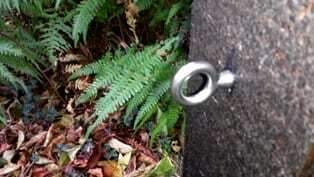 Eye plates are ideal for securing a temporary rope barrier with a hooked end fitting. 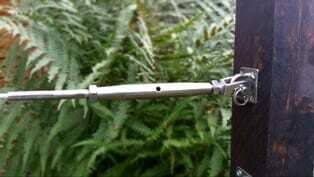 They are easy to secure with 4 screws and area available in a variety of sizes. Used as a flexible on/off attachment or a method of lengthening your architectural wire-rope. 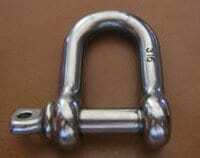 A shackle makes an ideal connector between any 2 points with suitable end fittings. Available in a wide range of sizes. Wire Rope Balustrades Overall rating: 5 out of 5 based on 6 reviews.